Do you know how much your appliances are adding to your energy bills? Whether it’s leaving the TV and lights on when we’re not in the room or overfilling the kettle, we’re all guilty of being less than energy-conscious from time to time. But do you know how much these bad habits could actually be costing you? To find out how aware people are of the energy they use, we asked 1,000 people to rank 14 common uses of power in order, from most to least expensive in terms of electricity used. We then compared these averages with the actual electricity cost of each item on the list. Overall, people seemed to have a fairly good idea of how much their appliances cost them. For instance, the top three on the real costs list – using a tumble dryer, a washing machine and an electric heater – were correctly perceived as the most expensive, albeit in a slightly different order. However, there were some notable differences – for instance, people vastly underestimated the cost of using a slow cooker, which at 25p an hour was the fourth most expensive item on the list! Meanwhile, the cost of using hair straighteners was overestimated, along with the cost of boiling a kettle and using a hair dryer. Have you got any bad energy habits? Although most people seemed to have a decent handle on how much their appliances were costing them, many also admitted to having less-than-perfect habits when it came to saving energy. 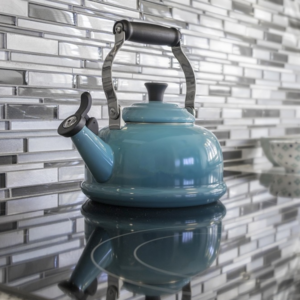 Around 20% of people said they’re guilty of leaving the lights on when no-one’s in the room once a week, while a quarter said they’re prone to forgetting about a kettle they’d boiled on a weekly basis – meaning they had to boil it more than once. Meanwhile, almost one in five (18%) confessed to falling asleep with the TV on once a week, and one in ten said they regularly leave the fridge door open – something that can add up to a big cost in wasted energy! How can you cut your energy costs? Saving energy is a win-win for your wallet and for the planet, so why not start today? As well as being vigilant about turning off lights, the radio and the TV when you don’t need them, there are a few simple ways that everyone can use less power. Turning down your thermostat by just 1°C can make a big difference to your annual energy bills. Similarly, washing clothes at 30-40°C uses significantly less power than the default setting, and works just as well. If you’re really keen on cutting costs, information is your friend – ask your energy supplier about getting a smart meter so you can see which appliances in your home are sucking up the most power. And if you still feel like you’re paying over the odds, maybe it’s time to switch suppliers – head over to our Home Energy page and compare prices in your area!